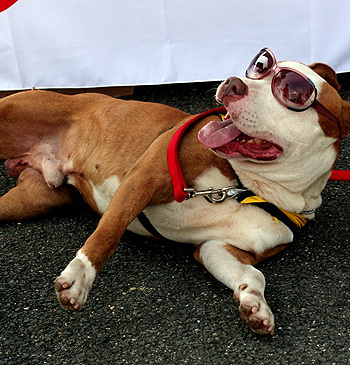 Do Shelters Give Pit Bulls a Fair Shake? I started out this article with the intent of researching why some shelters don’t adopt out pit bulls. Throughout the interviews, I have learned so much more. I contacted 35 shelters across the country about this issue. Out of the shelters that I spoke with, only 23 percent did not adopt out pit bull terrier type dogs. Out of the 77 percent that do, 90 percent of them did not at one time but now do! 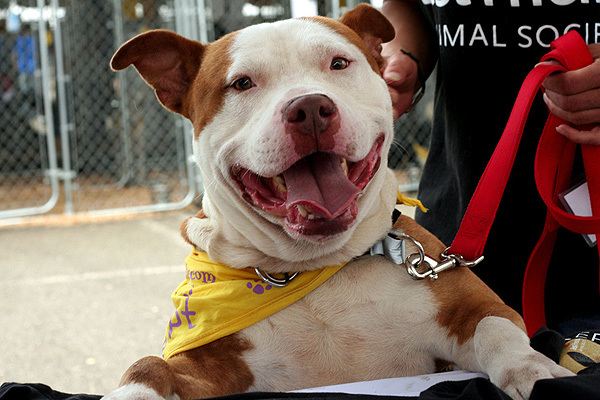 This means that all across the country, shelters are giving pit bulls the second chance that they deserve. What a wonderful trend! Why Not Adopt Out Pit Bulls? It seems as though most of the shelters that I spoke with that don’t adopt out pit bulls really don’t seem to know why they have this policy. Some do not adopt out pit bulls because the county or city that they are in has a pit bull ban in place. Sixty-five percent of those who are not in an area with breed-discriminatory legislation reported that they do not adopt out pit bulls because they didn’t know their history and do not have the resources to test temperament. They were all concerned that if they adopted out a pit bull type dog and something negative happened, it would reflect on them poorly. The other 35 percent do not adopt out pit bulls because they report they do not have the recourses to do a home visit and fear that they would send them to a “bad home.” When asked about the other dogs that came in, the Golden Retrievers and Poodles, and the fact that they also had unknown histories and that they, too, could be placed in a bad home, the answer was, well, a bunch of stammering. After the “uh … uh … uhs,” most would then say that the media wouldn’t print stories about negative things that happened with dogs other than pit bulls. They were also concerned about public outcry. What if something did happen? The public would be so angry that they put “a dog like that” into a home. These shelters all know that any dog can bite, but are also well aware that if another dog bites, it will not get the attention that it will get if a pit bull type dog bites. Fortunately, every shelter that I spoke with that does not adopt out pit bull type dogs did say that they reach out to rescues for the ones that they feel are good rescue candidates. When asked what made a good rescue candidate, the shelters described pit bull type dogs that were very friendly. I had expected this research to be a rather negative pursuit. I fully expected to be disappointed and heartbroken, and to awake at night thinking about all of the pit bull dogs in shelters who wouldn’t be given a chance. Instead, I was pleasantly surprised with the number of shelters who see pit bulls as dogs and welcome the opportunity to put them in a forever home! Now, let’s work together to see if we can change the minds of the remaining shelters. Politely call them up, write a letter or go down and meet with the shelter management. Because most shelters that do not adopt them out are government run, contact local officials. Introduce them to your dogs, and remind them that you would love to see a world where pit bulls are treated like the loving companions that they are. It couldn’t hurt to remind them that you vote as well. So get out there and change some minds! Since we’ve thrown our hat in the ring we’ve seen discrimination at it’s finest when it comes to this bully breed. Its disturbing to see so many beautiful, well mannered, eager to love and please dogs die in deploring conditions or tossed to the side because of their breed. As we continue on this journey to restore their great reputation we inform folks these dogs didn’t have a choice as what breed they were born, they don’t have a choice as who their guardian is, they don’t have the ability to rationalize yet they’re doomed from birth. Its frustrating and heartbreaking however, its our job to educate & be the voice that folks hear in order for things to change. What an encouraging article. I think the strongest statement is that they don’t know they’re pit bulls, they just know they’re dogs. Like most dogs, all they want is a home where people treat them with love and respect, and they will return the same. I hope this narrative opens some minds and hearts. I was very very very pleased with a shelter near us that doesn’t adopt out pit bulls (due to a nearby ban) but were more than accommodating to give us (the dogs original shelter and microchip registrar) time to find a place for her. They held and cared for her for two weeks. I am happy to say she was put in rescue and adopted withing a couple weeks! Great team work! I can speak from experience that this is true! I am on the Board of Directors of the Humane Society of Forsyth County, GA (a No Kill shelter) as the Dog Program Chair, and am a big Pit Bull & other Bully Breed advocate. We pull Pitties & Pittie mixes as often as we can from surrounding county animal control facilities that have a high kill rate & place them in foster homes for eventual adoption. We have had zero problems with our Pitties & Pittie mixes; in fact, we have several fosters who favor these dear dogs above all others (thank goodness!). I work a lot of off-site adoption events, & the other volunteers & I spread the word as often as we can about the true general, gentle nature of these wonderful dogs & about judging each dog as an individual. I have also fostered & adopted adult Pitties w/ unknown backgrounds, and they have all been wonderful housemates & companions. Keep up the great work, StubbyDog!!! @tntracy Thank you, and you keep up the great work you are doing on behalf of pit bulls. Great article! The shelter where our volunteer group, Sammy’s Hope, works is one of those municipal shelters who previously did not adopt out pit bulls to the public. They do now, because having our volunteers available to handle the adoption of the pits gives them the “staffing” they need do the home visits/adopter vetting that they require. When people ask me what can be done about the fact that so many pits are killed every year in “kill” shelters, I tell them to volunteer! Start a group, print up adoption flyers, offer to make the phone calls and home visits if that is what the township requires, walk the dogs and help them become good citizens. Stick with it even if the shelter staff is initially resistant, the pits need you! 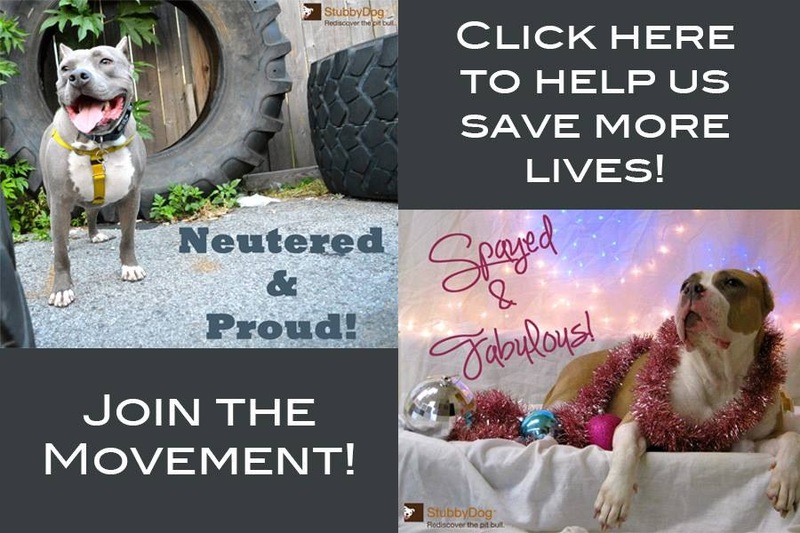 @CTYoung Those are fantastic suggestions for ways people can help pit bulls and be part of the solution! Thank you! @elille How wonderful, keep up the good work! 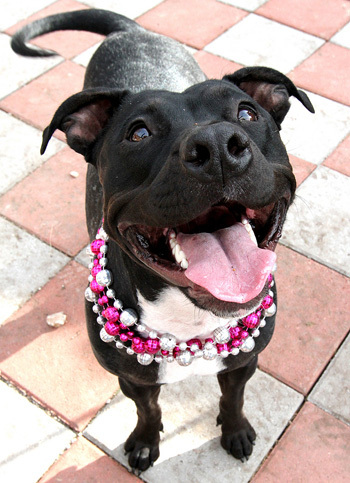 Let’s get these amazing pit bulls into loving, forever homes. Rolla Animal Shelter in Roll Mo does wonderful work. They can’t adopt out to ones in city limits. But they do their best. They are trying really hard to save one they have now. Sadly no one is showing intrest in him and they have till the first part of May to find him someone. The animal control officers are even up to help finding him transport.